What are some ways of spreading joy this holiday season? There are all kinds of little ways to spread joy. You can donate food or gifts to those in need. You can do a little good deed, like buying coffee for the person behind you in that coffee line. Or you can make a point of being extra kind and thoughtful as you go about your day. I’ve teamed up with some other great bloggers to spread some joy to YOU this holiday season! 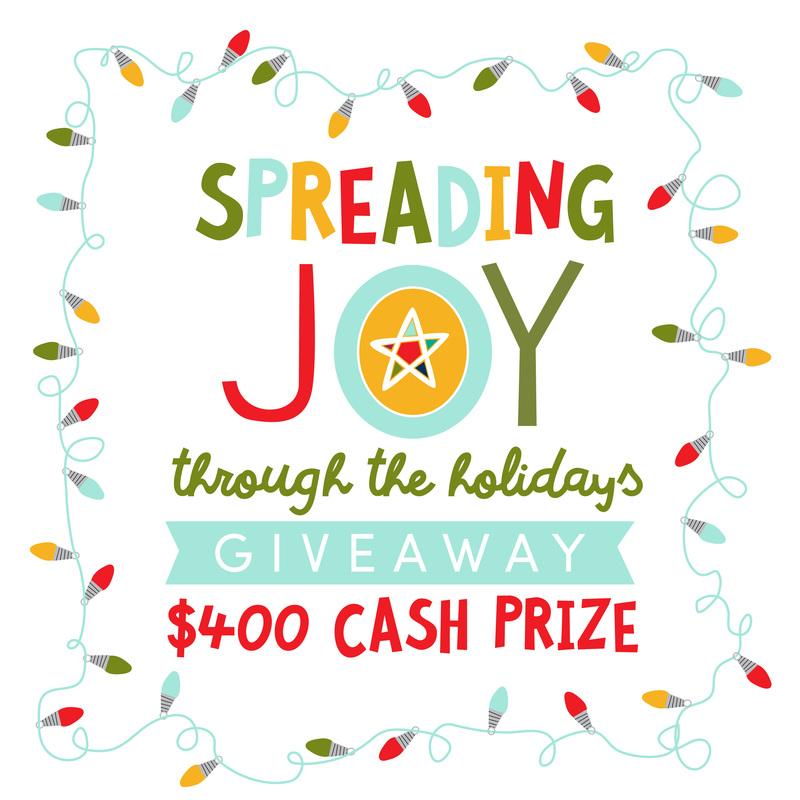 We are giving away a $400 cash prize and a $175 donation to Toys for Tots! Giveaway will started at 12:00 a.m. on November 21st and end at 12:00 a.m. on November 26th. Winner be selected via Rafflecopter and winning entry will be verified. Winner will be EMAILED from [email protected] and will have 48 hours to respond via email. If no response is given, a new winner will be selected. Winner must have a valid PayPal account as the money will be sent via PayPal. Enjoy your Cyber Monday shopping and be sure to Spread Joy this season!! I try to just do the little things.. like paying it forward when I can. Thanks for the chance to win! Trying to keep it simple this year and spread the joy!